Properties in Piazza delle Erbe average 4.5 out of 5 stars. La Mansarda Segreta Boutique Apartment: a charming accommodation in Verona. 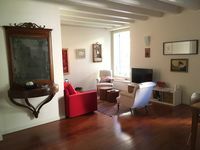 Property 6: La Mansarda Segreta Boutique Apartment: a charming accommodation in Verona. Property 21: Rosella Apartment ,central -modern, with view ! Elegant home, with garden, terrace, parking, all inclusive! Property 22: Elegant home, with garden, terrace, parking, all inclusive! In an exclusive location where you can breathe the essence of love! Property 45: In an exclusive location where you can breathe the essence of love! We arrived in Verona after spending 5 nights in Milan. It was such a pleasure to see Riccardo &amp; Federica's apartment. It's beautifully appointed, centrally located, quiet, and spacious. It's right next door to the Basilica San Zeno so is very quiet. We looked out on the church from our living room and dining room. Because the church is fenced, it was very private. Federica met us and allowed us to check in early. 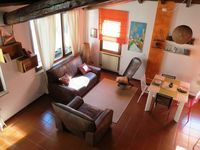 It's a beautiful apartment and we would highly recommend it for a wonderful stay in Verona. Thank you Claudio for a beautiful stay in a beautiful city!